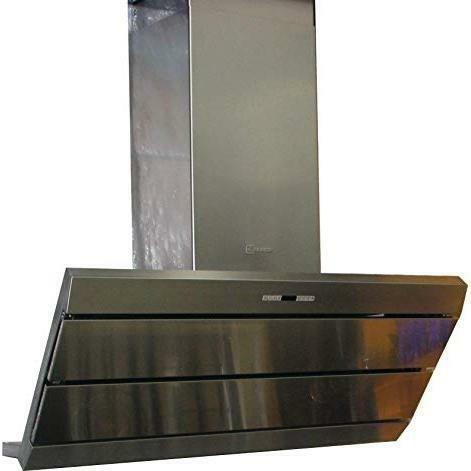 Faber 36 Inches Orizzonte wall mount chimney range hood with 600 CFM Internal Pro Blower. 4 speed push button control, delay mode, halogen lights and 24-hour anti-pollution mode, 30 minute delay mode, grease filter indicator. 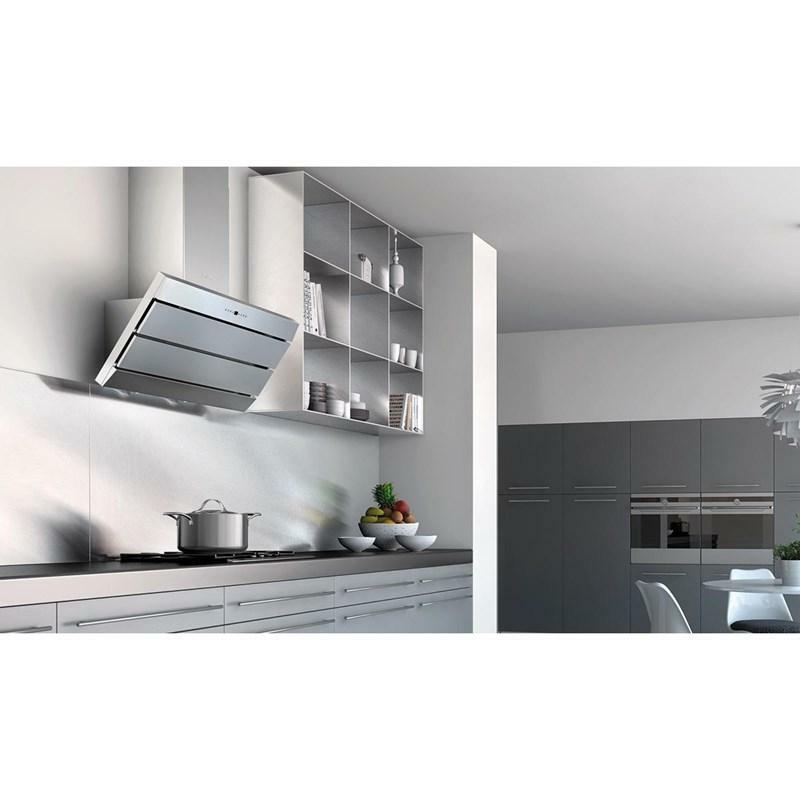 Convertible to a ductless and its an Easy cube mounting system. 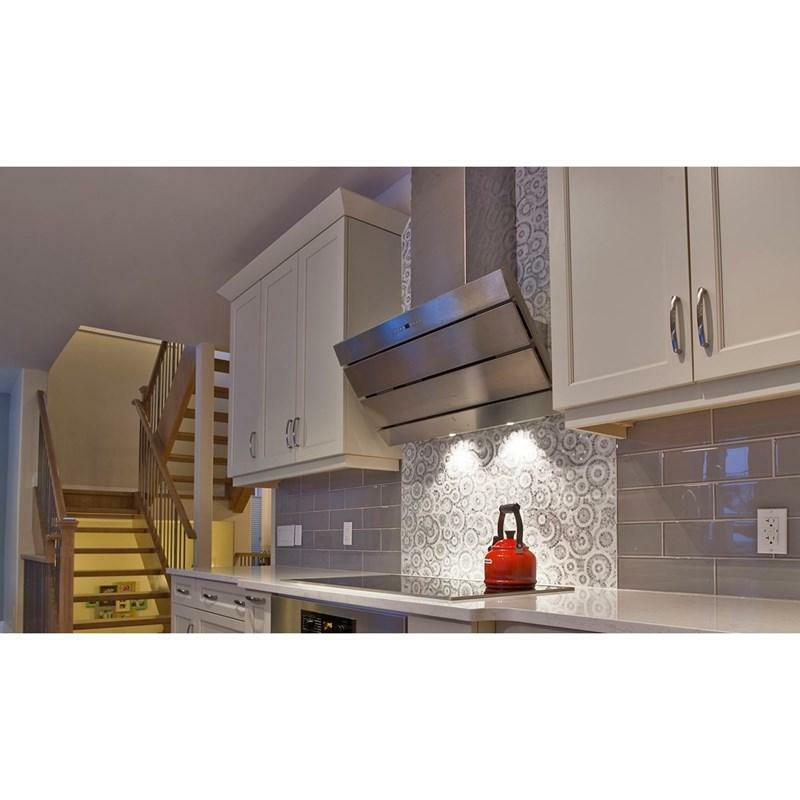 Additional Information LUXURY STYLING stainless steel styling; artistic design, impeccable fit & finish; 3 halogen bulbs with a dimmmer; hidden dishwasher-safe grease filters; Easy Cube™ Mounting System; 18” mounting height for sleek cabinet design; HIGH PERFORMANCE TECHNOLOGY Comfort-Panel™ perimetric suction system; 600 cfm internal PRO™ blower model; pre-installed Silent Kit™ sound-proofing; STATE OF THE ART CONTROLS push-button (LED) electronic controls on panel; 4 pre-set speeds plus Intensive Power Boost; 24-hour kitchen anti-pollution mode; 30 minute delayed shut-down mode; grease filter saturation indicator; DUCTING OPTIONS; top 6 “ round venting; convertible to ductless.